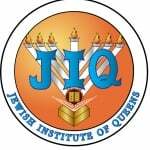 Goal: To provide students with the opportunity to participate in a high quality Judaic and secular education. Students will achieve the learning objectives outlined in a carefully designed curriculum from preschool through High School. The curriculum will meet or exceed, local, state and federal requirements for the design and implementation of the curriculum in preschool through High School. The curriculum will be reviewed and reassessed for effectiveness on an ongoing basis with revisions published annually as needed. Students will be assessed formally and informally on a regular basis to measure their mastery of the factual information presented. Students will be engaged in various individual and group learning situations, with peers and with teachers to encourage connections between education and daily living skills. Students will be encouraged to realize the significant inter-connections between the Judaic and secular world. Goal: To enhance the students sense of self as a valuable, contributing person to the Jewish community and the community at large. Students will learn to assess personal strengths. Goal: To instill moral behaviors and ethical standards established by Torah and social laws. Students will apply moral behaviors and ethical standards learned to their daily lives including, formal class time, free time and informal activities. Students will be encouraged through group or individual staff mediated discussion, to develop and apply strategies which would ameliorate or resolve uncomfortable or inappropriate situations. Goal: To motivate students to apply knowledge to real life situations. Students will have the opportunity to participate in educational competitions with other schools and to collaborate with them. Students will use and apply various skills and knowledge by participating in activities which reinforce academic principles.